LaDonna has been a member of Faith since she was a teenager but started serving on staff in 1992. She and her husband Steve have two adult children: Kristin & Michael. Both LaDonna and Steve serve in the media ministry and love on the babies in the nursery department. Some of her favorite hobbies include tackling Pinterest projects, working in the yard, watching sports, and spending time with her family. Ellen has been serving on staff since May of 2018. She and her husband Jeff have two daughters, Amy and Katie. Before serving here, Ellen was a stay-at-home wife and homeschool mom. Since singing her first church solo at the age of 18 months, Ellen's passion for ministering in song has never left her. She enjoys singing in choir and is happiest when spending time with her family. Cindy has served consistently in some form of Children’s Ministry since she was a teenager. Before arriving at Faith she served as Director of Children's Ministries at Oasis Church in Central Arkansas for 10 years. Cindy has been serving in His Kidz Worship and various other children’s events at Faith since the Fall of 2016. 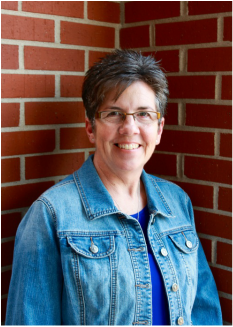 Cindy has a passion for ministering to children and their families and helping to equip and empower parents to be the spiritual leaders in their homes. Melissa has served as Preschool Director since January 2017. You can often find her and her husband John behind the check-in counter greeting families as they arrive for worship. Besides her role in the pre-school department, Melissa teaches in the DeSoto School District. Darcy started serving as the accountant for Faith in November 2015. Before moving to the Festus area in the summer of 2015, Darcy and her family lived in Fort Scott, Kansas, where she had a career in educational finance. In 2008, Darcy felt God leading her away from her career and she decided to take “early retirement” to raise her family. Several months later, she began accompanying her Alma Mater high school choir and stayed with them for six years until moving to Festus. She has been blessed to continue using her piano skills accompanying several area school choirs. Darcy also enjoys singing and playing piano during worship at Faith. Julia heads our custodial staff and has served since 2009. She and her husband Stuart have two children: Crystal and Nathan. Julia also serves in our preschool ministry. She likes to sew, cook, and spend time with her family. With all the activities in the building, Julia works hard at making sure that things are always clean and fresh. Bill has served as a custodian at Faith Baptist Church since 2005. Bill and his wife Sherron have two adult children and two grandchildren. Bill teaches a men's Bible Study class on Sunday mornings. He and Sherron like to travel, and he likes to garden. Bill is the reason that our outside landscaping is always colorful and trimmed. Roy has been on our custodial staff since 2009. Roy and his wife Barbara have one daughter, a son-in-law, and two grandsons. Roy and Barbara enjoying traveling and spending time with family. Roy is an avid golfer. Roy takes great pride in his responsibility of keeping the floors looking clean and welcoming.